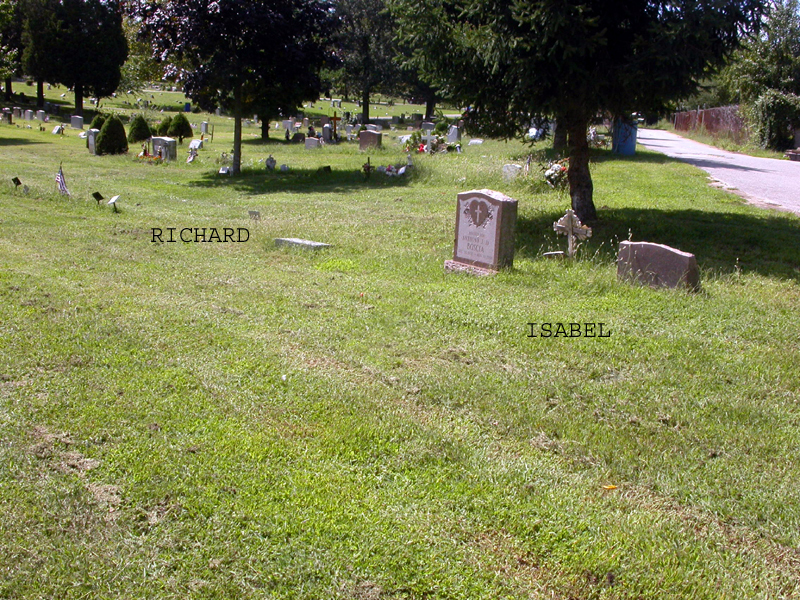 Wilbur and Isabel Klaiber had two sons, Richard and William "Bill" Klaiber. When Wilbur died in 1979, he was buried in Hollywood Memorial Cemetery in Union, NJ. 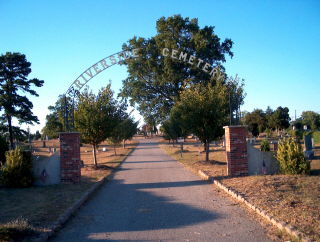 When Richard died in 2000, he was buried here at Riverside. According to the clerk at the cemetery office, he was buried in the unmarked grave by "Social Services." In other words, it's a pauper's grave. The county buried him when there was no one else to take the responsibility (and cost) of having him buried. His brother Bill was interred in a mausoleum at St. Joseph's Cemetery on the other side of town when he died in 2004. 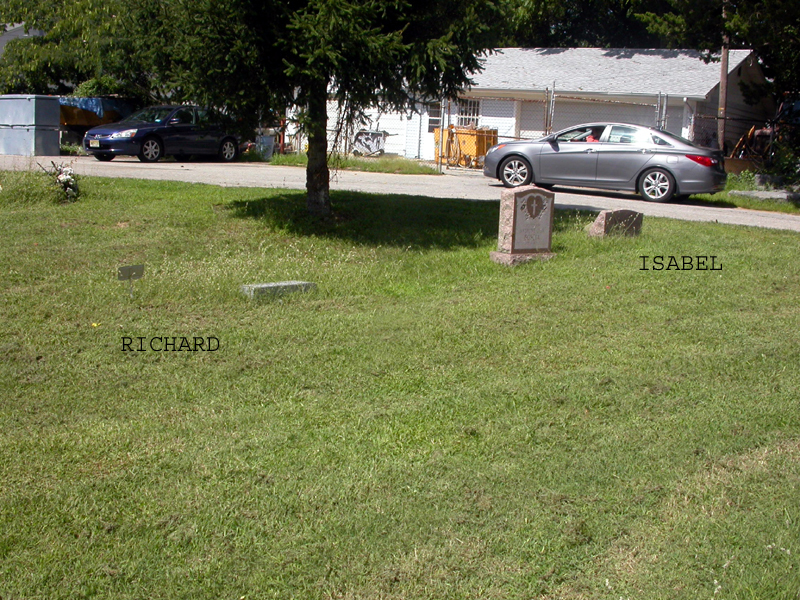 When Isabel died in 2007, she was placed in Riverside with Richard, again by "Social Services."